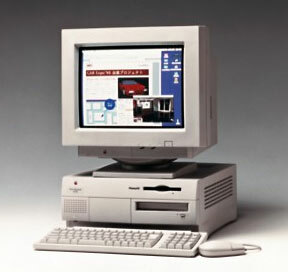 The Power Mac 7600 is identical to the 7500 – except for the processor card. The 7500 shipped with a 100 MHz PowerPC 601 CPU; the 7600 with a 120 MHz or 132 MHz PPC 604 or a 200 MHz 604e. Thanks to its daughter card design, it can be upgraded with a faster 604e, a G3, or even a G4 CPU card.